What? What is it? What do you mean 'I can see where this is going'. Of course you can. 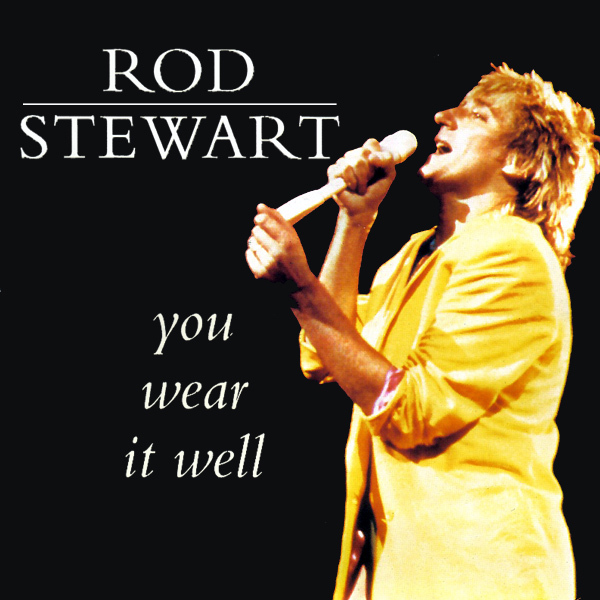 Rod Stewart is singing about someone else Wearing It Well, yet his cover shows him - egotist! Who was wearing what well, that is the question? Well maybe it was this chick who is wearing her outfit very well indeed. So well that unusually for AllBum.Art she has kept her outfit on. See. It didn't go where you expected now did it?